The organizational set up of agriculture in India started with the Department of Revenue and Agriculture and commerce in 1871 during the period of Lord Mayo (Governor- General of India). Since then department was reorganized many time, now it is in the way to encourage food and nutritional security for ever increasing population in the State. 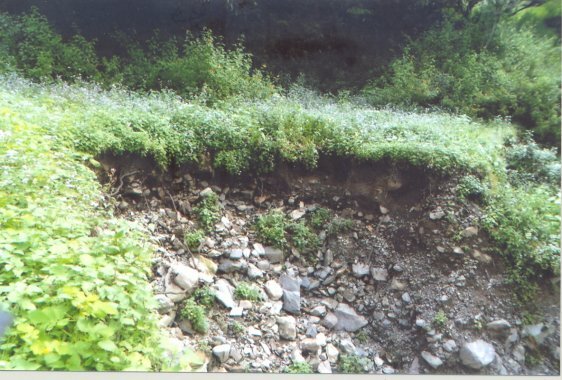 Most of the area of State is under forests and wastelands thus leaving only a small amount of land i.e. 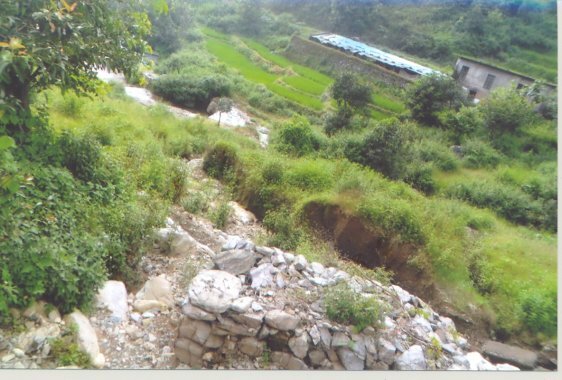 7.41lakh ha (about 14%) (LUS 2009-10) for cultivation out of the total reported area of 56.72 lakh ha. Out of the total, about 89% are under small and sub marginal. As large number and area is under small and marginal holdings, scale of economies cannot be availed of, and so the input cost per unit of output is higher. The soil of tarai region is very fertile and support to number of crops. 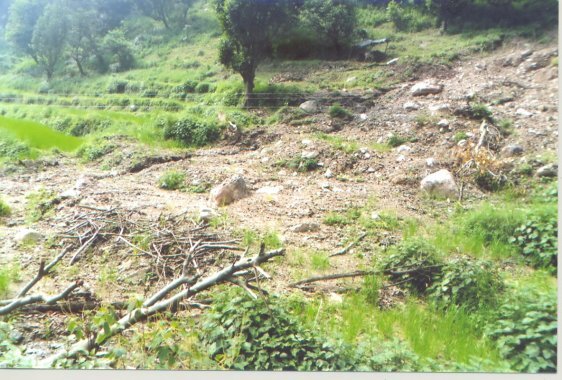 Indiscriminate use of chemicals and overexploitation of groundwater makes the soil of this region less fertile, causing the reduction in the sustainability in productivity. 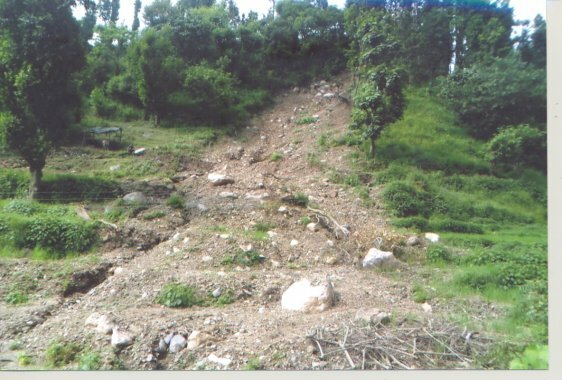 On the other hand the hill region is prone to constant soil erosion due to steep slopes making it less and less fertile, which could be achieved through adoption of better management practices. In the state, farmers adopt generally two types of agricultural practices i.e. the rainfed and the irrigated. Most of the agriculture in the state is rainfed. The net irrigated area of the state stands at 3.38 lakh hectares (2009-2010). The net irrigated area to net sown area for the state is 45 percent. Being large area under hills, irrigation is available mostly in the plains and valleys. So there is a need to generate alternate sources of irrigation to increase the net irrigated area, which in turn shall also increase the cropping intensity of the state. These alternative sources can be rainwater harvesting, check dams, hydram for lift irrigation etc. Technologies like drip irrigation, sprinklers etc. can also be used for better water management. The growth of foodgrain production is quite variable in different areas. As a result, agriculture scenario presents a mixed picture. (Area Production and Productivity 2010-11) Productivity of district Udham Singh Nagar, Haridwar, Nainital (plain) and Dehradun (plain) is very high, on the other side; productivity of the hilly area is very low, although the valleys are fertile. Plains and hill agriculture stand in stark contrast to each other. While productivity in plains can be compared with agriculturally developed regions of the country, productivity in hill lags far behind. The Green Revolution had highly benefitted the farming system of the plain area of the State while it has neglected the hilly region. Besides the threats there are ample opportunities of increasing production and productivity, especially in the field of pulses and oilseeds, availability of cultivable waste land, conservation of rain water harvesting activities. There is also a good opportunity of organic farming, diversification of agriculture, post-harvest technologies, strengthening of market interventions, and use of farm machinery to make the agriculture more profitable occupation. Contents of this website is published and managed by Agriculture Department, Government of Uttarakhand. For any queries regarding this website please contact Web Information Manager. © 2013 Agriculture Department, Government of Uttarakhand.